LEGO Wedding Dress: Do You Take This Brick? So you have a LEGO purse and LEGO shoes, now all you need is the dress to go with. But this isn’t just an everyday dress – this is a wedding dress, made entirely from LEGO bricks. 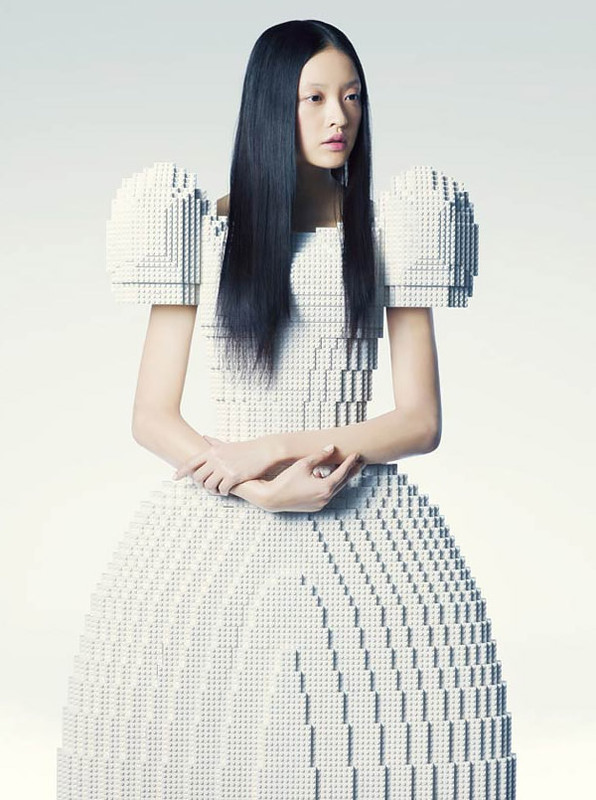 The LEGO dress was designed by Japanese artist Rie Hosokai – inspired by his prior work – a similarly-shaped wedding dress made from balloons. It was created for the Piece of Peace LEGO exhibition in Tokyo, Japan. Unfortunately, it’s completely immobile, so the groom and wedding party will have to come to the bride, but that’s a small price to pay for such an awesome work of LEGO construction and creativity.